Notes about this station: The 7600 is a (slightly) older printer and as such it only has one slot for a black ink cartridge. The type of black ink this printer has been configured with is Matte Black. 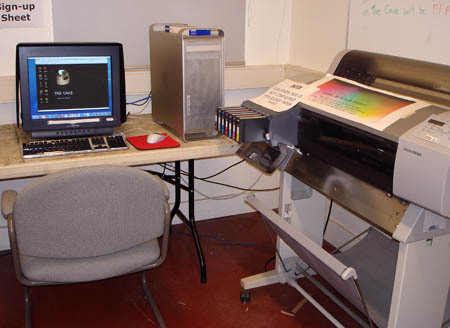 If you try to print on glossy papers with this printer you will have less than ideal results, because ink designed for matte paper will not adhere very well to glossy paper. Furthermore, for obvious reasons, there are no custom glossy paper profiles created for this printer.